Windsor Mayor Eddie Francis together with City Council, the Windsor Public Library Board and Chief Administrative Officer Helga Reidel, are pleased to announce Kathleen (Kitty) Pope as the new Chief Executive Officer of the Windsor Public Library. A native of the City of Windsor, Ms. Pope has been working in the Library sector for nearly 40 years and began her career in 1976 as the Family Resource Librarian at the Owen Sound Public Library. Between 1976 and 2014 Ms. Pope has held numerous library roles spanning administration, teaching, directing and lecturing. She served as the Assistant Director of the Calgary Public library from 2001 to 2003 and from 2004 to 2010 was the Executive Director of the Alliance Library System in East Peoria, Illinois. 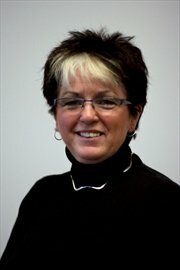 Most recently, Ms. Pope has served as the Chief Executive Officer of the Guelph Public Library since 2010. Ms. Pope is an active blogger and contributor to workshops and presentations on library leadership, strategy, and marketing and she writes a regular column on books for the local newspaper. Among the highlights of her award winning career, Ms. Pope has been the recipient of the ‘Building Better Communities Award’, the American Library Association/Information Today Inc. ‘Library of the Future Award’ and the ‘Association of Specialized and Cooperative Library Agencies Award for Leadership and Technology’. The appointment to Windsor Public Library CEO is effective November 3, 2014.